Traveling cats spotted on McMillan Farms in Kelowna, Canada. That's a wonderful fall- photo ! dit vind ik ook een leuke foto! Pumpkin purrfect. Have a fabulous Friday. Yay for the Canuckian cat! Very seasonal shot, too. 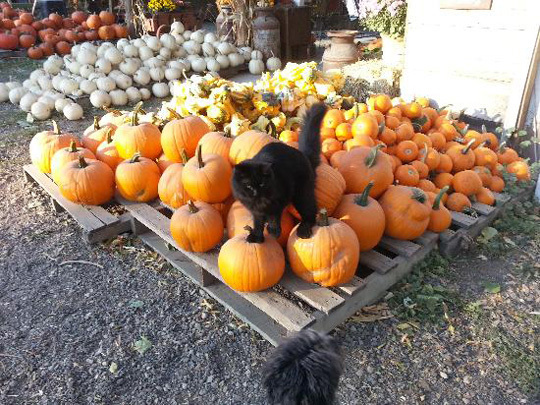 Chat noir sur citrouilles oranges ! Wouahou !!! It's putting its order in! !